Functional training is a type of training that affects the simultaneous development of a large color functional and motor abilities. It will affect the development of your motor abilities (speed, strength, flexibility, muscular endurance …), then will affect the reduction of subcutaneous and visceral fat and increase muscle mass. 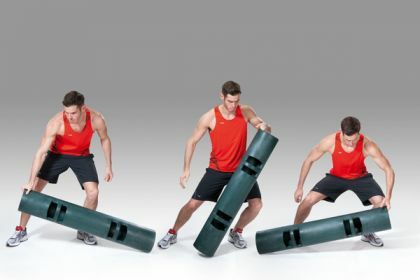 The most important part of functional training and equipment for functional training is that it trains your muscles to work together, to simulate the movements that you use in the sport and during some physical activity. Equipment used in functional training are: sandbags, medicine balls, kettlebell, bosu balls, TRX, viper, ropes, gymnastic circles, truck tires and more. Here we present some of the most effective. 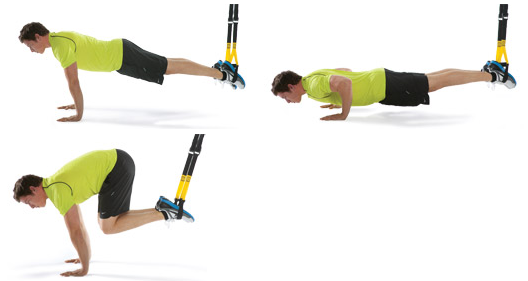 Available in different weights, wearing a handle on all parties who have needs for various combinations of exercises. 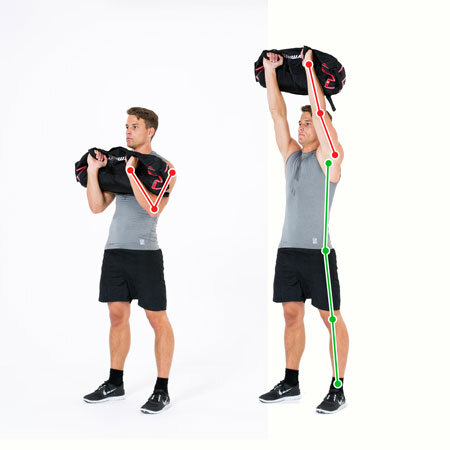 With sandbags you can drawing, lifting, throwing, squats … hired a large number of muscle groups. Tire of wooden logs slotted for tongs, with different weight. 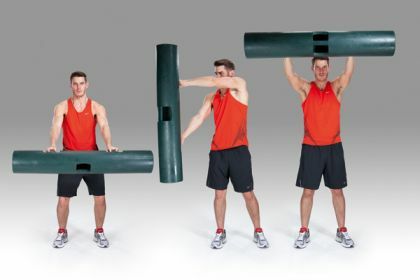 An interesting set of exercises lifting, throwing, drawing will simulate movements that engage a large number of muscles. 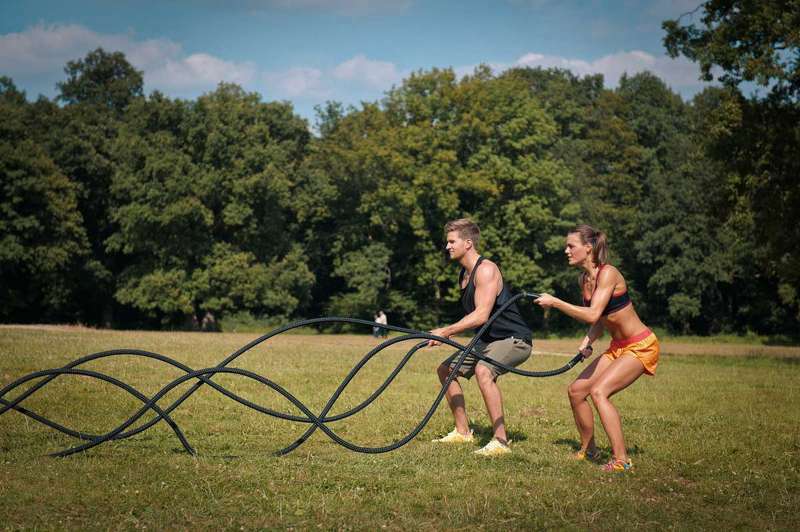 Long and heavy ropes will simulate the movements that are mainly used on board, and this will be perhaps the most interesting props but not the easiest. 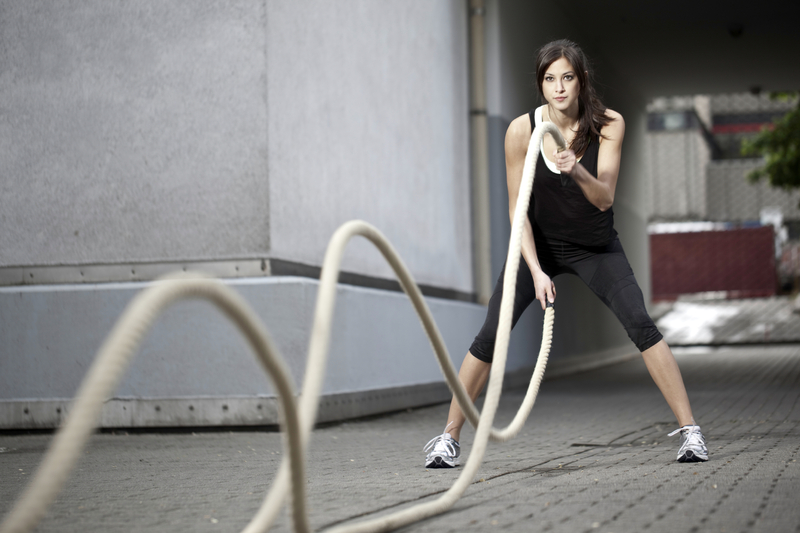 Cords require good endurance and is mainly used to improve the same. You can use one or both at the same time, the length of about 10 meters each. 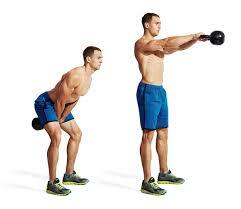 The exercises are performed mainly for up to 30 seconds, because of high intensity. Weight and herself efficiency of functional training depending on: size and weight of equipment, then the speed of execution and duration of the exercise, the number of exercises, number of cells or circuits and breaks that are right in between. Since functional training requires activation of the whole musculature, training should be intense but brief to avoid excessive stress to the body, which can lead to overtraining. 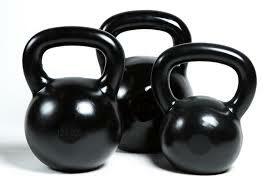 As the first and most common reason why people go to fitness centers is health. This is logical because the first results that will be achieved already after just 10 days are not physical is mental: better concentration, less stress, better and easier sleep. Then moving change for the better with respect to physical appearance. Frequent and long-term exercise physical activity has the effect of improving: cardiovascular, respiratory, digestive and other systems of the body. Metabolic has a very important role in maintaining good health and elimination of toxins from the body. Of course, the acceleration of metabolism is very important for caloric expenditure and removing fat deposits. Rehabilitation due to some violations of the natural health reason to go to the fitness center (problem with back pain and strengthen your back muscles, strengthen atrophied muscles of the quadriceps after surgery knee ligaments and other injuries). The second reason or motivation for going to the gym is physical appearance. After a month of intensive training we will experience both psychological and physical changes in the body. Depending on the level of physical activity that you have practiced before going to the gym you will feel the changes in the form of strength, vitality, muscle shape and losing weight. Of course, after some time the results will be more visible. The third reason for going to the gym is to improve individual motor characteristics of the body (this is specifically for athletes who want to improve certain functions that are important to them for a particular sport or that they lack). Definitely weightlifting increases body strength, cardio training endurance, specific exercises speed and explosiveness so. Fourth socialization as a form of socializing, contact and sense of belonging to a trip to the fitness center. Worldwide, fitness centers and major fitness companies ( Active gym, Golds gym, Fitness First …) opens complexes in addition to cardio units, freestyle area is currently very topical, including: TRX, bosu ball, swiss ball, ropes, sand bags, vipers, boxing , area with machines, free weights to work, and include indoor and outdoor swimming pools, group trainings halls, restaurants, bars core with meals and healthy fruit drinks, children playground and many other areas. It has become a way of life and style.